Where are we and Who are we and How do you find us?? Club Summary: Colleges Little Athletics Centre is a community based junior sporting organisation catering for children from five to fifteen years of age. 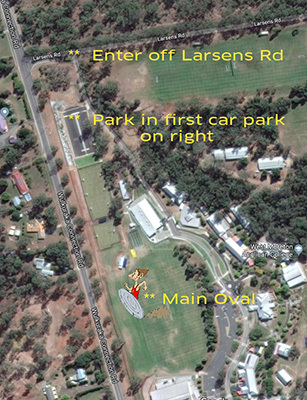 We rely on the volunteer efforts of our members to provide assistance with athletic meetings, which are held Friday night at West Moreton Anglican College. Athletes perform in five events each week, including events such as running, discuss, shotput, relays, long jump, and high jump. Our first meets were held in the 2003-04 season and we were based at Mt Crosby Sportsground until the 2017/18 season. We are an incorporated association operating as a non-profit organisation.